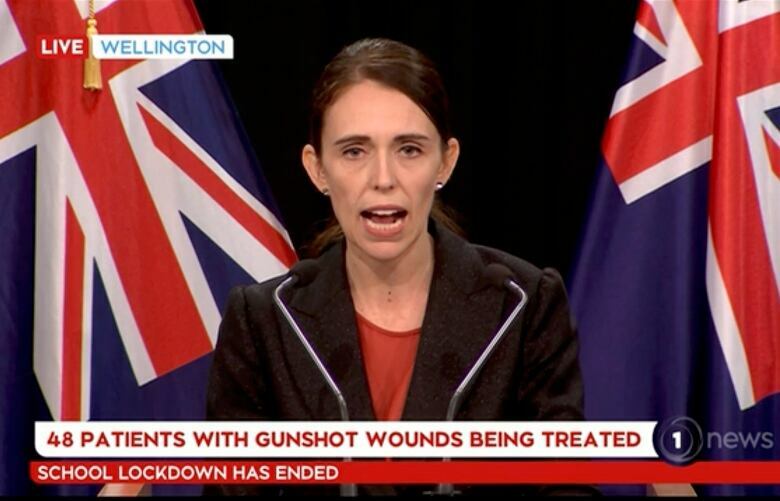 New Zealand Prime Minister Jacinda Ardern's nation was still aching with grief after a white-nationalist gunman killed 50 people at two mosques in Christchurch. As she spoke on Friday with U.S. President Donald Trump, her American counterpart asked what he could offer. 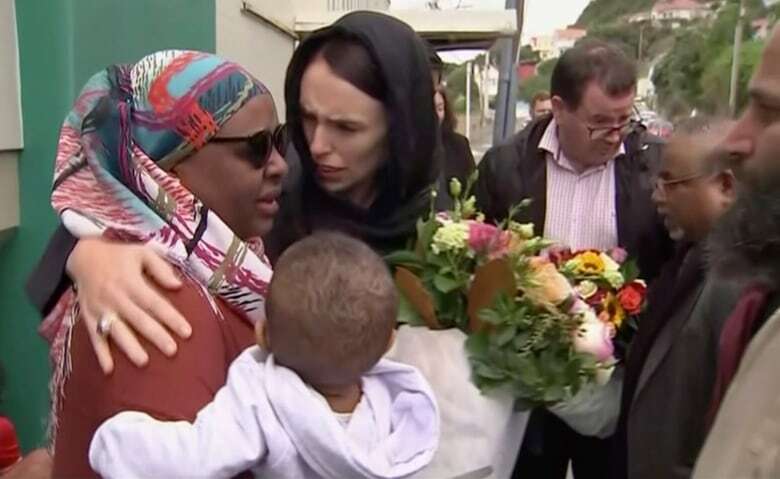 Ardern reportedly answered, "Sympathy and love for all Muslim communities." Trump "acknowledged that and agreed," she told reporters. But if the two national leaders sounded like they shared a common understanding, it appears to have been fleeting. The U.S. president, tweeting about the call, made no mention of Ardern's plea. Instead, on the morning after their chat, Trump defended Fox News personality Jeanine Pirro, whose recent on-air remarks were deemed to be so bigoted against Muslims that the network suspended her. The same day as the phone call, the president rejected the idea that white nationalism was a rising worldwide threat, downplaying it as a problem concerning a "small group of people." Civil-liberties researchers disagreed with that characterization, pointing to the far-reaching references in the accused gunman's 73-page manifesto, which mentioned everything from Trump as a "symbol of renewed white identity" to popular internet memes and Norwegian massacre gunman Anders Breivik. Asked on Saturday whether she agreed with Trump's assessment tamping down concerns about violent white nationalism, New Zealand's leader gave an unequivocal "No." According to the Anti-Defamation League, 98 per cent of extremist killings in the U.S. last year were tied to far-right extremists. Europol's annual EU Terrorism Situation and Trend Report last year found a near doubling in the number of people arrested for right-wing extremist offences in 2017. And data from the nonpartisan Center for the Study of Hate and Extremism at California State University San Bernardino says that hate crimes in America's largest cities rose for the fifth consecutive year in 2018. "In the U.S., far-right extremism has eclipsed violent Salafi jihadists," said the centre's director, Brian Levin. "The difference is white nationalism has emerged into a coalesced and growing socio-political force, with tentacles that extend into the mainstream. That's something many other extremist movements do not have." Republican Congressman Steve King, for example, has openly mused that being labelled a "white nationalist" shouldn't be such a bad thing. "That has flipped," he said on Monday. He cited FBI statistics that showed a spike in hate crimes after the 2015 attack in San Bernardino, and a further spike beyond that after candidate Trump's proposal for a Muslim ban. Levin contrasts that with former president George W. Bush's speech six days after the Sept. 11, 2001, attacks on the U.S., when Bush declared, "Islam is peace" at Washington's Islamic Center. "For the six days that followed [the attacks], anti-Muslim hate crimes totaled 26, dropping down to five on Sept. 18, the day after the president's tolerance address," said Levin. "Leaders have an important place in society for not just modelling behaviour," Levin said, "but in promoting or rebutting the negative stereotypes that fuel attacks." 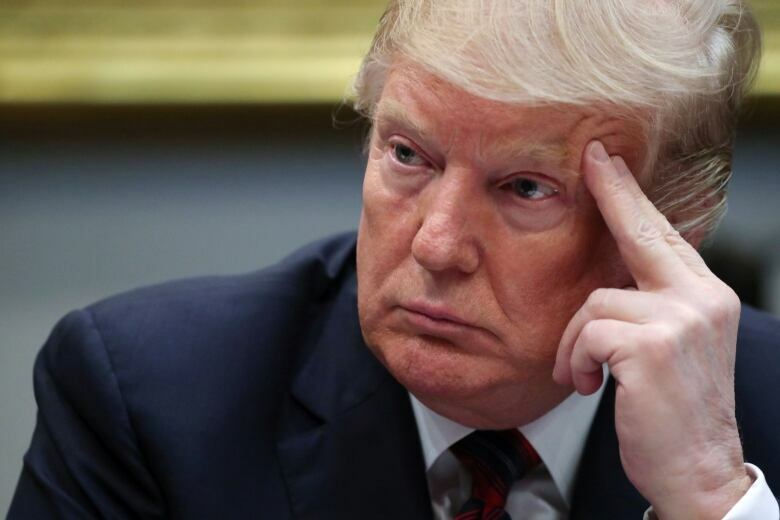 Last October, with days to go before crucial U.S. midterm elections, Trump conceded there was "no proof" to his claim that "unknown Middle Easterners" were part of a migrant caravan of mostly Central American families approaching the southern border to legally seek asylum. Trump has described migrants heading to the border as "an invasion of our country." In his manifesto, the alleged New Zealand gunman called immigrants "invaders" on "our lands." Similarities in the rhetoric rang chillingly familiar to Lawrence Rosenthal, chair of the Berkeley Center for Right-Wing Studies. He was reminded of the white-supremacist marchers who swarmed the outdoor quad at the Unite the Right rally in Charlottesville, Va., in 2017. Brandishing torches, the crowd cried, "You will not replace us," and "Jews will not replace us." 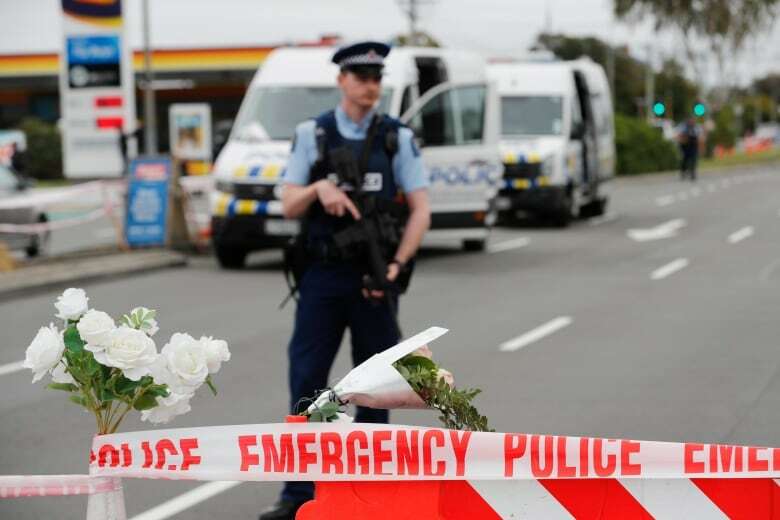 Echoes of white-nationalist ideology were sprinkled into the Australian-born New Zealand suspect's rambling manifesto, which took its title from a French conspiracy theory that nonwhites will, through a system of mass immigration, overtake Western population centres. "So what does he call his manifesto? 'The Great Replacement.' And what did they chant in Charlottesville?" Rosenthal asked rhetorically. It's a kind of trans-national exchange that needs to be taken seriously, Rosenthal said, adding that the idea that white-supremacist formation is isolated is no longer viable as an explanation. Racist tropes about a "great replacement" or "white genocide" are fairly standard, and online connectivity has acted as a force multiplier. But trying to shut down that discourse is "asking for trouble," warned Eric Kaufmann, an expert on nationalism and white identity at Birkbeck College at the University of London. "I do think the attempt to shut them up is going to fuel them. It can be better to let the steam out of this" with fact-based counter-arguments, he suggested. Acting White House chief of staff Mick Mulvaney defended the president on Fox News on Sunday, saying, "The president is not a white supremacist." Researchers of racist ideology generally agree that Trump himself is not regarded as a white nationalist among far-right extremists. Even so, he's hailed as a vehicle for the politics of white nationalism. On 4chan and its sister website 8chan, Trump is known by the nickname "God Emperor." "He has helped create space for white nationalist politics," said Matthew Lyons, an expert on the alt-right and author of Insurgent Supremacists: The U.S. Far Right's Challenge to State and Empire. Trump is seen as useful to white nationalists; even if he isn't part of their cause, he has arguably helped them become more outspoken, Lyons said. "There's a debate among white nationalists on Trump as a policymaker or a leader," Lyons said. "It's not the same as white nationalism. But it helps to validate it."